Practice Makes Perfect. A Film by Sergiusz Wasilewski © 2017. I came to the world of the Artistic Blacksmith relatively late in my working life. I had previously worked in various fields, including: microfilm, model making and I.T. However, whilst working in these roles, I always felt that there had to be more for me – something I really enjoyed and could excel at. I knew from my love of cars that I enjoyed working with metal. 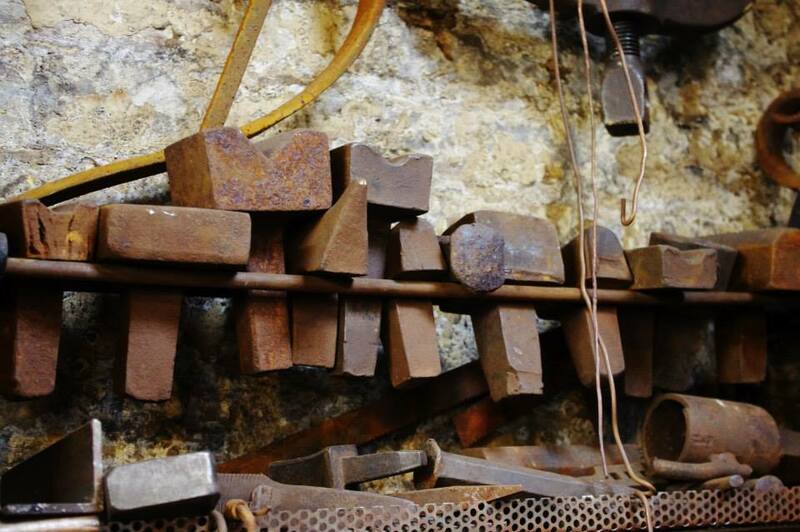 The aim of this workshop is to ensure that you enjoy and experience as much as possible during our friendly and informal introduction to blacksmithing. You will learn six of the basic blacksmithing techniques during the day which culminates with the completion of a hook and poker. “An excellent day as a "Blacksmith", which had always been an ambition of mine to try, but I never had the courage until my wife gave me a birthday present of this day’s experience. “Had a great time at Hot Metal Works - Neil certainly knows his craft, and his teaching was easy to grasp and I left extremely proud of my fire poker. For safety purposes, you will need to wear steel toe cap boots/shoes, a long-sleeved top and trousers – preferably cotton and no man-made fibres. Lunch is not supplied. However, there is a museum café on site and a number of local shops within walking distance.